Did you know that 96% of U.S. adults are coupon users? It’s universal – people love to save money. Entertainment® Rewards & Incentives provides relevant, tangible discount rewards that your customers truly value and remember. We develop custom programs or provide turnkey solutions that appeal to your customers while meeting your marketing goals. 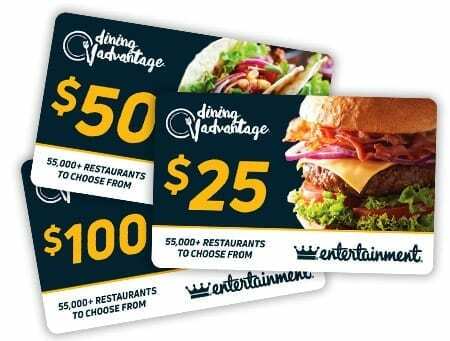 Dining Advantage® Cards by Entertainment® are the ideal low-cost, high-value incentive. Give your customers over 100,000 offers with discounts up to 50% off, all backed by the power of Entertainment®. Choose from a broad selection of deals across all dining categories and cuisines, from local favorites and popular national brands! 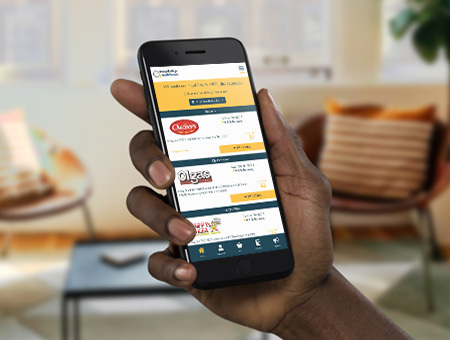 Redemption couldn’t be easier with the Dining Advantage® Mobile App or printed coupon. Physical cards or digital codes are available in custom denominations and formats. We also offer co-branding, fulfillment services and API integration. Check out Dining Advantage® or request a demo.